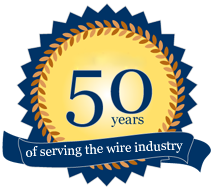 We have an assortment of high productive skip stranders that are widely used in manufacturing wires and conductor. These skip stranders have bobbin hold on bearing pintle, which provides smooth running. Diameter compensating mechanical device keeps constant tension all along the process within the entire adjustable tension range. 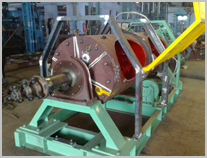 Our range provides high speed process and is available in various specifications. We have an assortment of medium productive tubular stranders that are widely used in manufacturing wires and conductor. These tubular stranders have bobbin hold on bearing pintle, which provides smooth running. Diameter compensating mechanical device keeps constant tension all along the process within the entire adjustable tension range. Our range provides high speed process and is available in various specifications. aluminium allay. Aluminium cable steel reinforcing wires to produce the following power cables sector shaped conductors round compacted, Single core presiralled. In multiple of 12/18/24 & 30 bobbins for ACSR Conductors of 61 & 72 wires Construction with multi speed & variable drives.